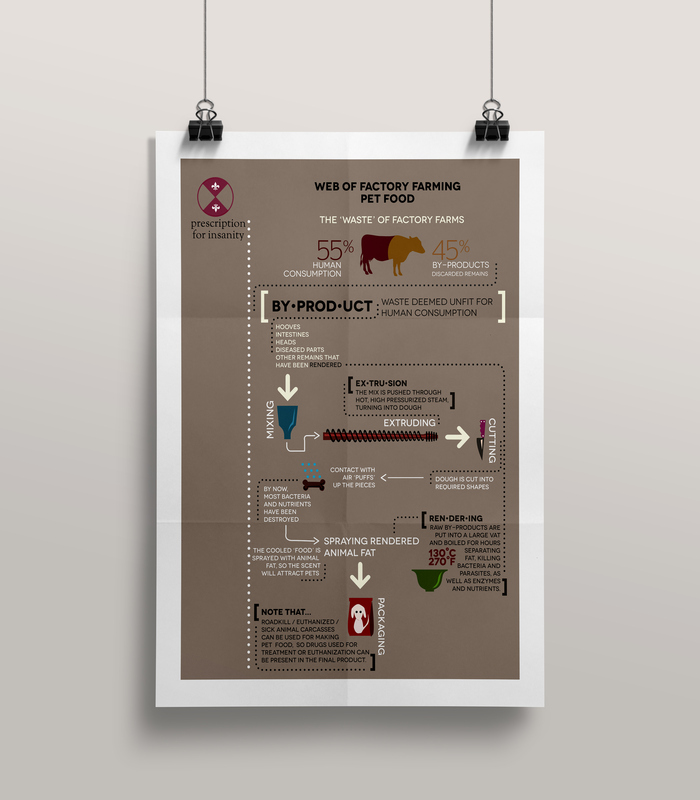 An infographic illustrating the process through which most pet foods are made. Factory farming is steadily becoming less and less favorable in society, thanks to growing awareness of the sad practices occurring there. Aside from ethical reasons, people find themselves making conscious decisions about the food they intake. But do they spend as much time (or even a fraction of time) on the food of their pets? Take a look at this infographic and decide if it's better to just easily scoop a bunch of cheap kibble into your pets bowl, or if its better to invest in healthier alternative choices. In collaboration with PETA.